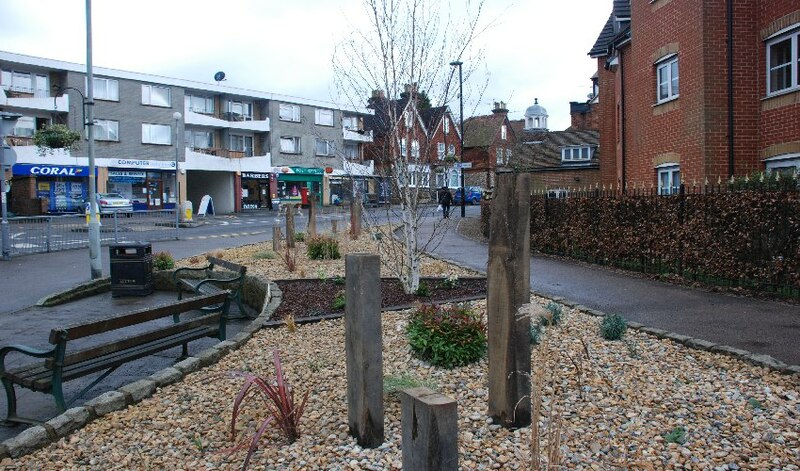 Last week the hard working staff at How Green finished a project to rejuvenate a prominent bed in Caterham on the Hill in Surrey. 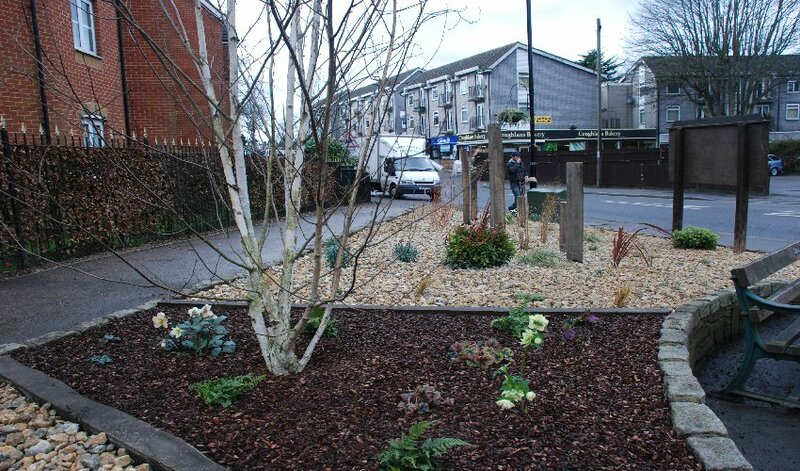 Working with the town’s parish council, we scrubbed out the tired, old shrubs and bedding. The brief was a complicated one! A low maintenance, drought tolerant garden that has all year round interest, with the wow factor! Not a particulary easy remit!! The shape and layout of the existing bed did not need changing and in fact it is a very well thought out shape and pleasing to the eye. Not the dull rectangular shaped beds we’re used to, it is an attractive half-moon shaped crescent, with a slope not too disimilar to a plaque bed. After several meetings with the clients and deliberation over what style to go for, we settled on a design that incorporated many grasses, hardy, drought tolerant perennials and bulbs such as Alliums. The overall effect to give a prairie, naturalistic look. Grasses add height and structure and have been planted in drifts, in keeping with the curves of the bed. Very hardy, long flowering perennials such as Nepeta Walkers Low, Salvia Caradonna & Agastache Blue Fortune have been used. In all, over 300 plants have been used, which in time will enhance the bed. A big problem with the site was weeds! With low maintenance in mind, we used a permeable membrane to supress any weed growth. The membrane in turn allows water to pass through to the plants and also helps moisture retention in drier periods. To complete the look a layer of decorative shingle has been used. The centre piece of the bed is a beautiful multi-stemmed Betula jacquemontii. With it’s silvery white bark on the main stem & branches it gives fantastic Winter interest. In time it’s canopy in the Summer will give a gentle dappled shade for the two benches under it. To add Winter structure, some evergreen shrubs have been used and colourful Cornus (Dogwoods) to break the gloom. The spent grass heads will also be left over the Winter to add height and a sparkle with frost. Aged oak has been used as a feature and to give height and structure, especially for when the herbaceous plants become dormant.